about me? impossible. I can’t talk about myself…hmmm…. what i can say is that I have been married, I have many sisters whom I love to pieces and now after Olive’s passing (see her RIP post) I have three cats that really were Olive’s, Bay, who is 16 years old, and the two kits, Pearl and Ruby, who are about 2 years old now, but still act like kittens. I work. It seems like I work all the time, possibly because I do little else. Love your blog and your pictures of Siena. they are fabulous! Olive is an old soul…always has been. She loves her kitties…but what I love is how the kits (how I refer to the two 2 year old cats) is how sweet they are with Olive now that she is getting old, losing her sight and her hearing… They fret over her and walk with her outside. Just very loving relationship. Animals are WONDERFUL. I’m quite obsessed with them, pets especially. love your site and love following you! I’m very pleased because you like Romania, I see many places where you have been… great collection. Thank you! Love your pictures and see that we share interest in such a special place, Romania! Thanks for liking my post about airline route maps, Martha! Have you spotted some curious/politically incorrect ones yourself? Hi Martha. You have a really interesting blog with some fabulous photos. Congratulations! If you are interesting in showing off your shots to a wider audience, we host a weekly travel photography competition in which we would love you to participate. Here are the details: http://hitchhikershandbook.com/your-contributions/travel-photography/. Happy travels! Thank you for following Sawyer’s adventures. Looking forward to reading more of your posts, too. I had a Jack Russell too – he was very special and only like a typical Jack about tennis balls. Thanks for checking out my blog. Olive has been coming to my office with me now for 14 years, since i got her. She runs the place! Thank you kindly for dropping by and following my blog. Thanks for visiting my blog and, in so doing, introducing me to yours. Love the way it takes me to so many places that I haven’t been to, but now can via your beautiful photos! Thank you for the like and the follow. I particularly enjoyed your Venice gallery. many thanks for the follow on http://www.postsofhypnoticsuggestion.wordpress.com, it’s much appreciated. Thank you for the follow, dear, I really appreciate it. Whenever I go to new places and take photographs, I always end up getting in trouble. I like that in a photographer…that pushiness….I try sometimes …I was crushed by a nun who told me not to take her picture…I almost made her fall of a ladder!!! sorry, so sorry!!!!! Nice work! Loved Florence…your photos brought back some cherished memories. Thank you for the follow!! Your blog makes me yearn to go traveling! Wonderful photos. I feel I just had a vacation escape! Thanks for following my blog. Your life is incredible and all your animal family inspiring. Can’t wait to see what is next? Me too hehehe 🙂 always something! Thank you for visiting us. Is there anything in particular about Cats you would like to see? love your blog. i enjoy reading about the different guys at the sanctuary. Thank you for following our blog. Mom loves to travel and she said it is so much fun to look at your pictures. We aren’t allowed to go out of the back yard but we think your pictures are neat, too! greetings from William – the ginger tabby, 14, Bay – white with gray spots, 14, Pearl, gray tabby, 1 and Ruby, brown tabby, 1….we get to go outside but have to come in for the night! Your pictures are great! Thanks for following my blog. Love your writing, really nice style! Thank you for following my blog – I’m delighted you have enjoyed your time there. Your blog whets my appetite for more travel… I have an ever-growing wish list of far-flung destinations to visit! Thanks for stopping by. Seems we have something fairly in common — my dog is 14 & a Rat terrier. Mine is always being confused for yours, except the Jack Russell is a bit wilder than the Rat terrier. My little girl never had that wild streak. She has always been sort of reserved and serious…she never wants to play with toys, she checks her perimeters at work when we go out for a break, sniffing and marking out to the edges of her territory…then it is back inside for another nap under my desk!!! Thanks for visiting my blog! It’s nice to meet you. You have some beautiful pictures here and I will be looking forward to seeing more! And maybe learn a little about Olive? oh I love your blog….a library dog is an intriguing figure and books are one of our favorite things! thank you for visiting our site! Olive is a 14 year old JRT but she has way too much wire hair for a broken coated JRT. 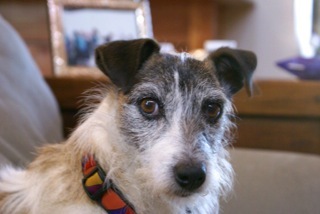 Consequently other normal characteristics of JRT’s are missing …she is very calm and has always been an old soul. She has come to work with me everyday since I got her when she was 6 mos old. She has her routine and sleeps under my desk. She is a dear. I love the books that you have in your blog. I mostly give books to every child in my life…I believe it is the best gift you can give!!! I will be checking back regularly. It’s really nice to make your acquaintance and Olive as well! Welcome to the library! Thanks for following my blog I am glad it brought me to some of your galleries, brilliant photography. And nice to see some familiar friends on your recommended blog list. Its a great community we share. Hi! I wanted to take this chance and thank you for following my blog; I can’t believe I hadn’t already done so. I love the galleries, and I especially love Heidelberg! Thank you for all the wonderful pictures. On your blog I am able to see pictures of locations I adore; and other pictures of places I never knew I would adore and do now! thanks, I have traveled a lot with my work in aviation, so I have gotten to see some places that are quite unusual and beautiful. I am glad you are enjoying them! Thanks for following. Your photos are great! thank you for following my blog. yours is great too. Thanks for following my photo blog! Your photo galleries are great! Will look forward to more!